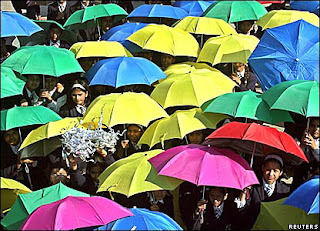 Gimmickry is good for attention. But if the consumer can make a dichotomous judgement post consumption, that is, love it or hate it, the brand's in trouble if the consumer concludes the latter. 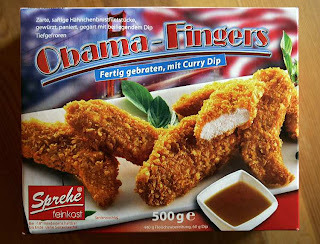 Take 'Obama fingers', for example. Great, the name gets the brand on Drudge and therefore garners top-notch awareness. The consumer driven by curiosity may quickly move on to a purchase action. Once consumption happens and by any chance if the 'fingers' taste awful, the brand's as good as dead. Never mind its called Obama or Warren Buffet. It don't matter. Brands that can't have the consumer make a dichotomous judgement are better off with gimmickry. Because the consumer can't for himself decide what he must feel. In fact the brand communiques are the ones that help him judge. And if those communiques have been crafted well, you may even have the consumer eating out of your hands. Its not enough to get a great name. You should get a great product behind it as well. Applies a lot to the movies of bollywood and why they fail.